Achiemore, Sentry Post and School, view from S.
Achiemore, sentry post and school, view from N.
Achiemore, Sentry Post and School, view from SW. 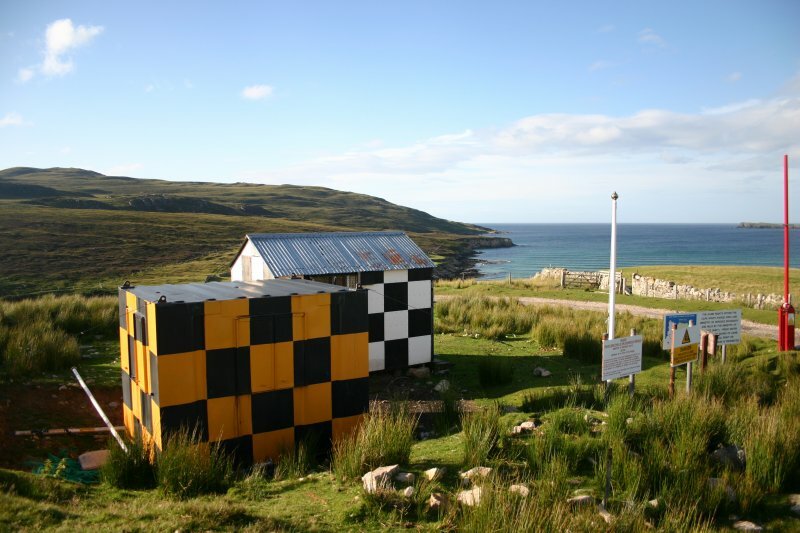 This sentry post, which is situated immediately W of the public road some 150m NNE of Achiemore, controls access by the general public to that part of the Cape Wrath Training Centre (NC27SE 2) which is deemed dangerous during military exercises. 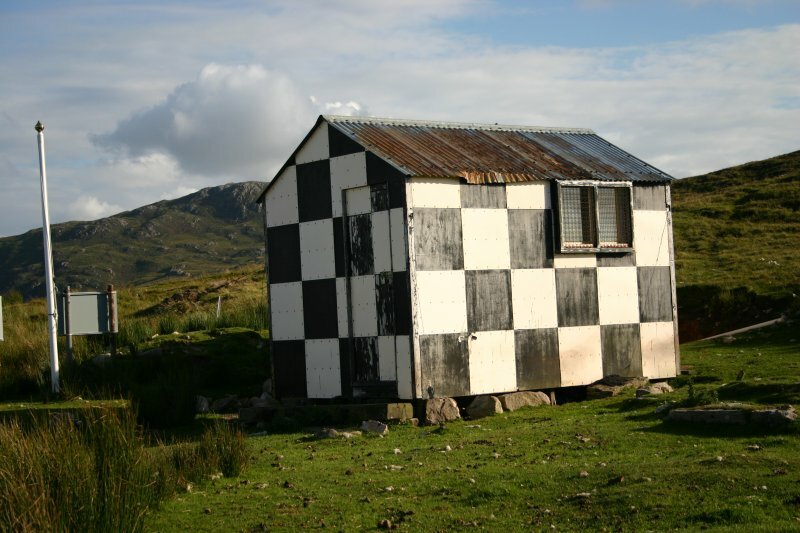 It comprises a timber hut or shed (CWTC08 395) with a pitched corrugated steel sheet roof, its sides and ends painted with a large black and white checkerboard pattern, and a small steel portacabin (CWTC08 396), its sides and ends painted with a large black and yellow checkerboard pattern. 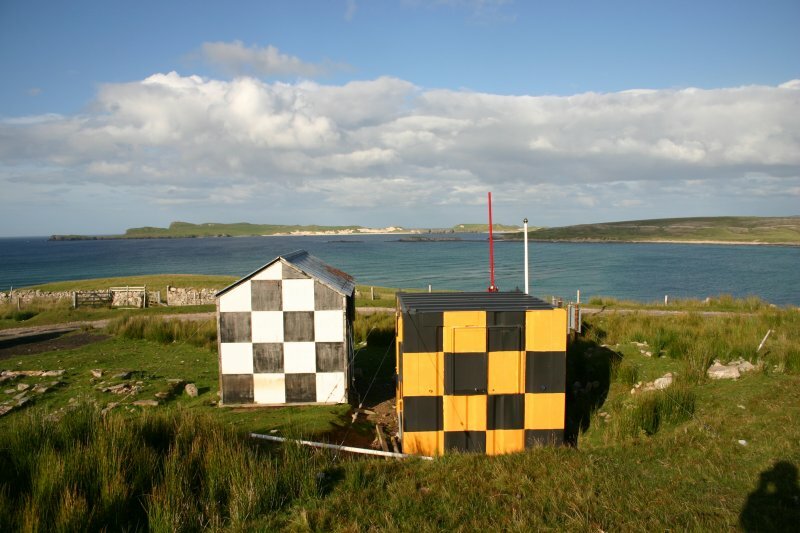 In addition there is a flagpole on which a warning flag may be raised, notice and warning boards, and a barrier. The post stands adjacent to the footings of a former school (CWTC08 416). 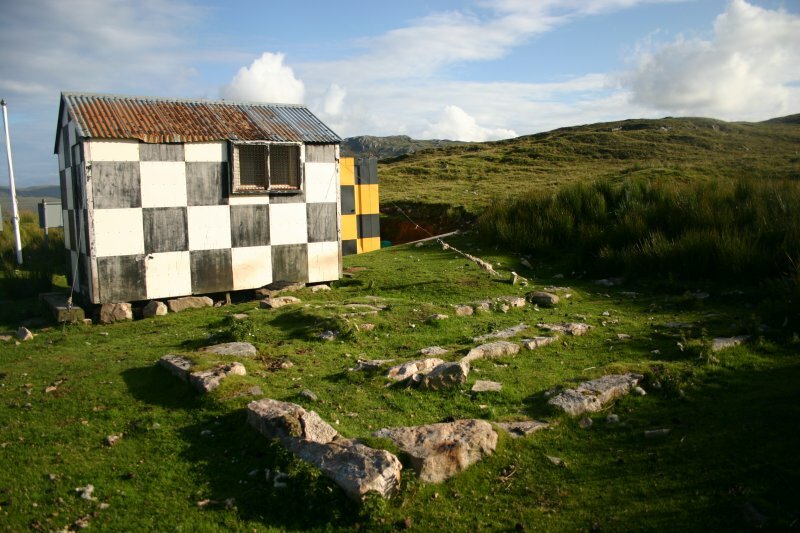 The building stood until the early 1990s, when its corrugated steel sheet roof was blown off by strong winds and the walls were taken down to supply foundation material for the Bailey Bridge over the Daill River (David Hird pers comm). Visited by RCAHMS (JRS, JH) 11 August 2008.